Over on the She Sows Seeds facebook page the other day I shared a jumper with a chicken on it. Yep, I am the girl that would be wearing the chicken jumper. You see, I love my hens. Love them. Here at Carlton we have six hens these days, more than we’ve ever had before. On the day we waved good-bye to Gippsland and hit the road to South Australia our gorgeous friends Nic and Amy gifted us six of their (I’m very sure very best) happy, organic, biodynamic, free range ladies to take with us. 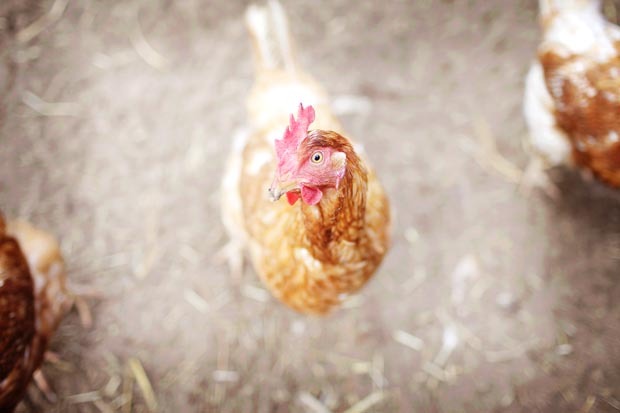 “One must have hens to begin a new home” says Amy. I believe her to be right. 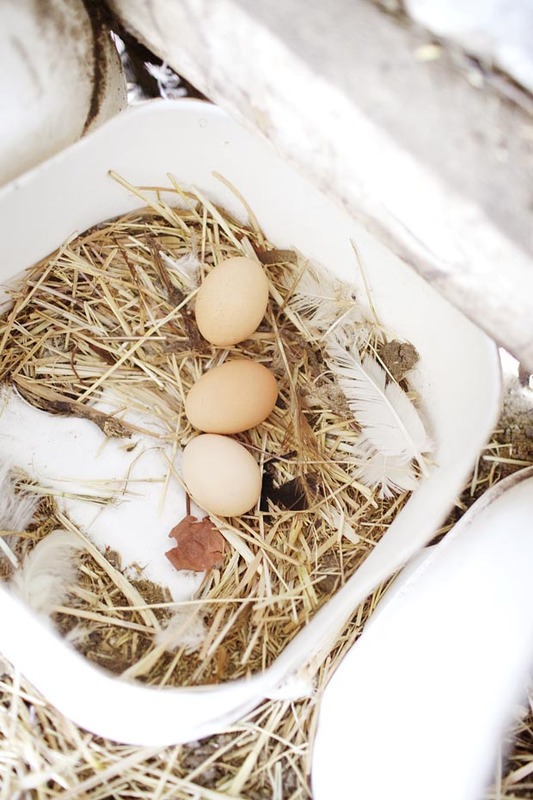 Not only did our chookies survive the trip in the middle of the night in the back of the ute, but the very next day we had eggs – those Ruby Hills hens sure know how to work! Our chook pen here at Carlton is certainly nothing fancy. It’s quite the ramshackle contraption and is far from being fox proof, which really should be rectified. The hens don’t particular like the nesting boxes provided (empty cut in half chemical drums, quite agricultural), so they lay their eggs in a far dark corner where I’ve made a little nest with some hay. So far, so good and we are getting around 4 eggs a day, more than enough for just the two of us. In fact, I have been seen delivering eggs to various other staff members and their wives as my poor husband is so sick of frittata for lunch and eggs for breakfast! If you don’t have chickens, or you’re thinking about getting some, be rest assured they are easy-peasy-lemon-squeezy in the maintenance stakes. 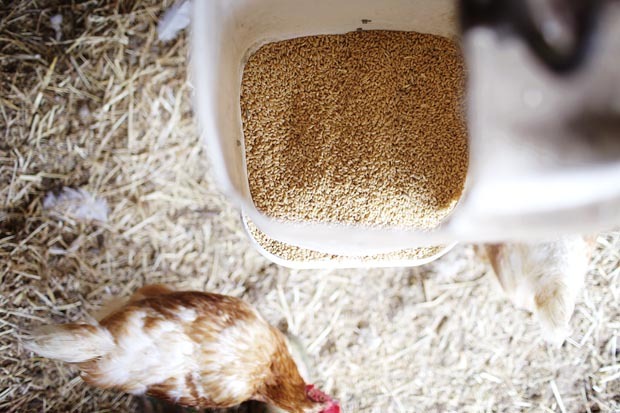 I throw mine some grain (which the husband gets out of the silos here but I also recommend a layer pellet for them too) as well as some vegetable scraps, bread, meat bones – oh they love bones. 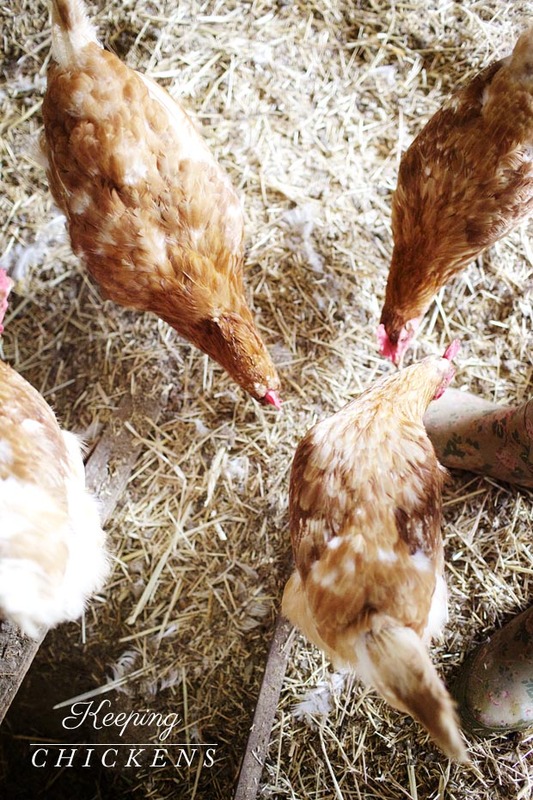 Fresh, clean water is also essential for happy hens and therefore happy layers. I was once told that if you wouldn’t drink the water, don’t expect your chookies to. Fair enough. So, I’m a chicken lover, a poultry passionate. I’d love to get some geese or guinea fowl as well but that’s a debate with the husband for another day. I’m not only the girl wearing the chicken jumper, I’m the one talking to my hens as I hang out the washing and greet them every day with “Helloooo chicky-booms!” as I go to collect their eggs. There is something very personable in the way they cluck and coo and seem to have a chat back. Funny little critters. I do not like it when they flap at me though, something very Alfred Hitchcock about birds and flapping. Now if you’ll excuse me I have a frittata to make. Or a sponge. Or lemon curd. Any other eggy recipes I should have in my repertoire? Got chooks? Oh I love chickens! When my boyfriend and I moved into our new house with some land, we bought four bubba chicks and were also gifted four older hens making us instant parents to a brood of eight! 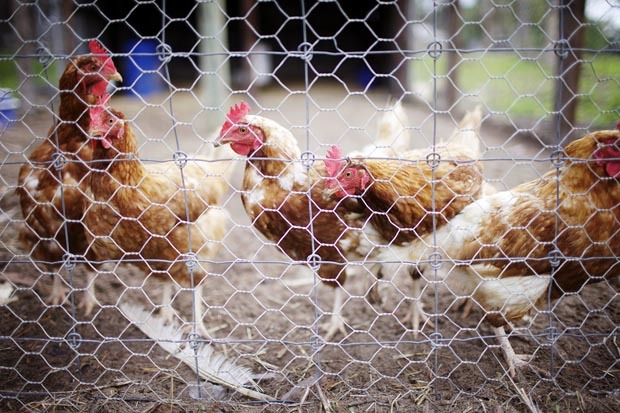 Unfortunately after a few incidents with some pesky wild dogs, we quickly decreased in numbers until we had none (very upsetting) but once we’ve ‘attack-proofed’ our hen house we’ll be back on that bandwagon quick smart. Wonderful pets (+ free eggs, WIN)! 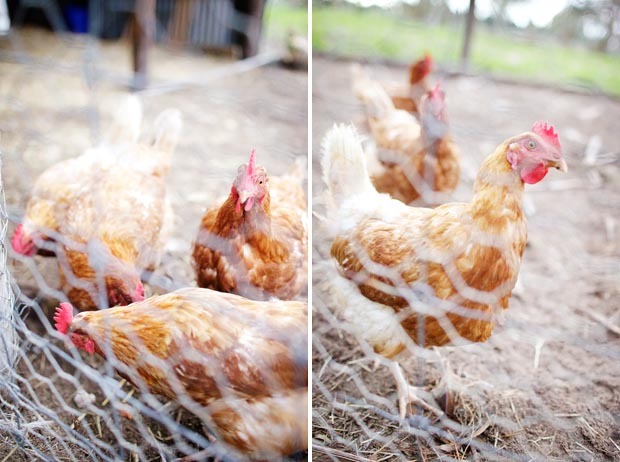 Oh how I would love some chooks … free eggs, free fertilizer and company all in one package. One day. We’ve always had them growing up and now my step Dad and Mum have gone into breeding Bardevellas (or however it is spelt) which are a very pretty back chook with a gold lace pattern on them. Anyway … can I suggest that if the drums in the picture are their ‘nesting boxes’ that you try laying them on their side, with the opening to the side not top. Some of the chooks on the family farm lay in an overturned cream can and someone else I know uses the same chemical drum idea but turned on its side. Thanks, the drums are nailed to the walls but we do plan to pull them off, I might try laying them on their side. Thanks for the tip! I’ve got new chooks, two of which are quiet enough to catch. They withstand a cuddle and a scratch for a small time and then make their feelings felt (let GO will you!) funny critters. Love them bok boking about in the afternoons. Although coming up the back steps inside is being a bit TOO friendly. Boundaries chookies. We love our chickens, though at this time of year we only get one or two eggs from them each day. Our kids have named them so we have Spotty, Beaky, Bluey, Bessie, Matilda, Laila, and Excavator (named by Toby).